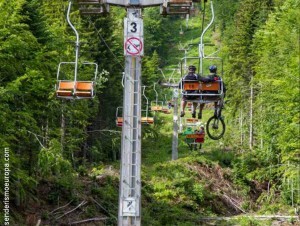 MTB trip: Mountain biking in Bulgaria. Duration: 8 days Choose from April to October 2019. 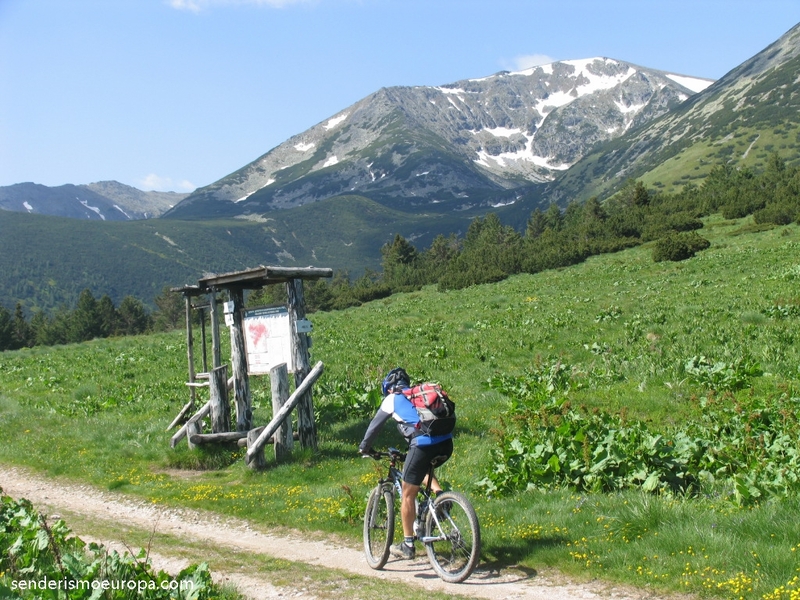 Here is a mountain bike ride or mountain bike that lets you know the most emblematic mountain ranges in Bulgaria: Vitosha, Rila, Pirin and Rhodope. 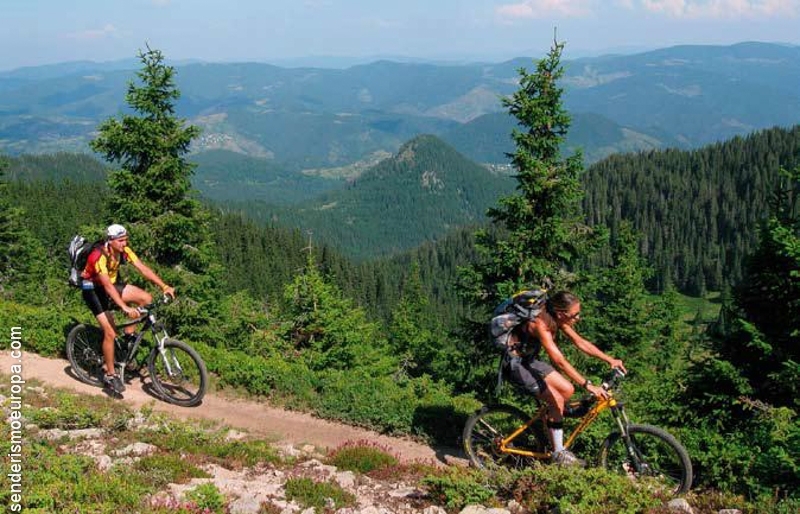 In particular Rhodope Mountains are the best areas in Europe to explore the unspoilt nature by bike. 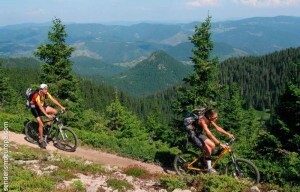 They are located to the southeast of Bulgaria and offer ideal conditions for cross country MTB. The route we have planned has been designed so that we can enjoy the best possible experience adventure bike, gathers moderate ups and downs, wide trails, spectacular scenery, authentic villages, historical places, panoramic views, rural hotels that allow us to know the customs and traditional Bulgarian cuisine rich… and especially enjoy a lot of mountain biking. Day 1: Sofia airport pickup and transfer to hotel. Free time to prepare and adapt the bike and stroll through the capital of Bulgaria. In spring and summer it is very pleasant to stroll through the illuminated city night and day by its large and densely wooded parks, especially in the area of ​​Parliament, Alexander Nevski Cathedral, Russian Church, etc. In the evening there will be a brief presentation of the program and / guides. Day 2: In the morning we went with our luggage ready and bikes. Moving 40 minute drive to the south side of the Vitosha. Once there bikes down our vehicle and we started to warm up the muscles. Climbing reach the crest of the second day Massif, el de Verila. On the main ridge of the massif see beautiful landscapes, pine forests and meadows from which the mountains of Rila National Park are. After lunch we have a short, steep climb. Followed by a nice soft drop 13 km to reach the village of Govedartsi stay overnight. At the end of the day we stayed in a hotel Borovets station where a great atmosphere around the fans MTB lives of various countries who visit. Day 4: This day will be full of challenges and we will go with bikes the highest and adventurous way, called "Kaiser" Reaching about 2.500 m above sea level. We went through a forest to the refuge of "Chacar voivode". We follow a path that goes up and down, It has wooden bridges and large stones that will test our bikes suspensions, to reach the refuge of "Zavratchitsa", where we will have lunch. After waiting for us the last kilometers of the climb to the highest point of the route from where you can enjoy wonderful views. Follow the more technical part down between rocky peaks that surround us. After 7,5 km we reach another safe haven from which we have another descent on a good mountain road. This road becomes paved road that after 15 km descent will take us to our hotel near the village of Yacoruda. There we expect a pool of hot springs, it will be the best ending to this epic day of mountain biking. Day 5: We started the day with slight descent and ascent by asphalt ending with 5 km strong climb to the village of Konarsko which is located in the mountains of Rhodope. From there we have a 7 km climb along a sandy path to reach the highest point of the day: el pico de VELITS. 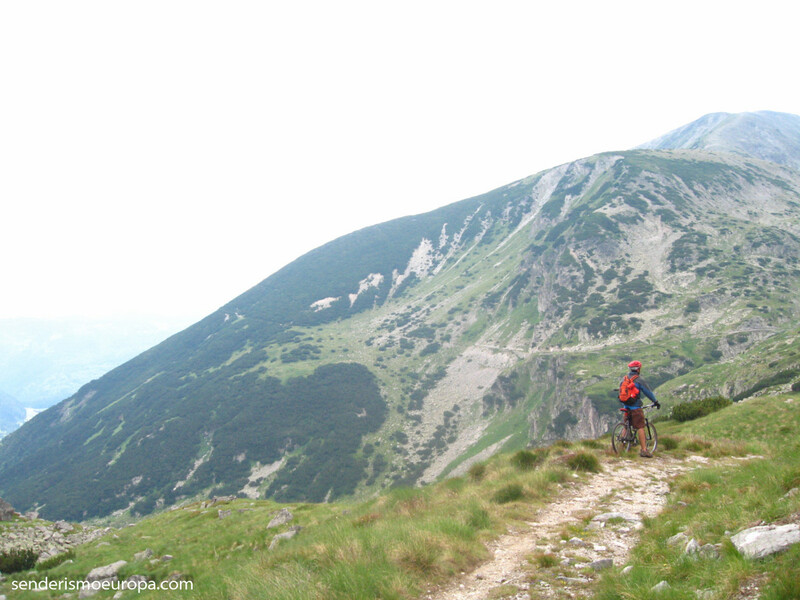 The following 15 km go through the main ridge of the mountain with ups and downs and unforgettable trails in the mountains of Rila, Pirin and Rhodope. Passing through the village “Marital polyamine” We continue with 8 km by asphalt to reach the village of “Pebble beaten” where we will have lunch. Then we 15 km of road gentle descent to the village of Sarnitsa. After a short break we continue on a path along the edge of the swamp of Dospat, They are about 16km overlooking this huge and beautiful lake. At the end we 4 km climb on a paved road to reach the village of Dospat. 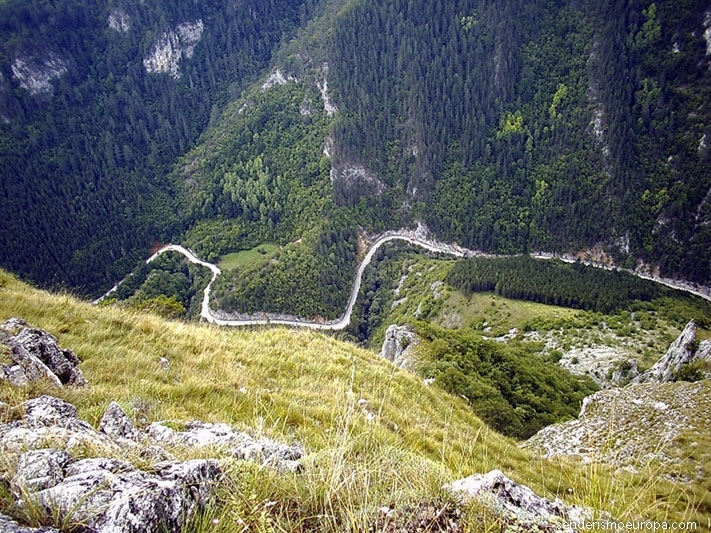 Day 6: Take the paved road to climb 8 km to a point with panoramic views towards the dam Dospat. After we got a very nice track that follows the river and down a 10 km to reach a Roman bridge. We continue through fields of potatoes and after 18 km we reached the village of Buynovo and the border with Greece. We will have lunch in the village center. We continue to penetrate the heart of the Rhodope and getting closer to Greece with a mild rise 5,5 km and then another 2 km of steep climb to get to the point where we expect a drop unforgettable 14 km to the typical village of Trigrad , where we settled in private homes, allowing us to know the real rural life of this old Europe and meet people. Day 7: After breakfast we got on our bikes and go down to the famous cave "Diavolsko Garlo" (The Devil's throat), then back to climbing towards the bikes to start long but gentle climb 13 km towards 7 glacial lakes "Chairski". 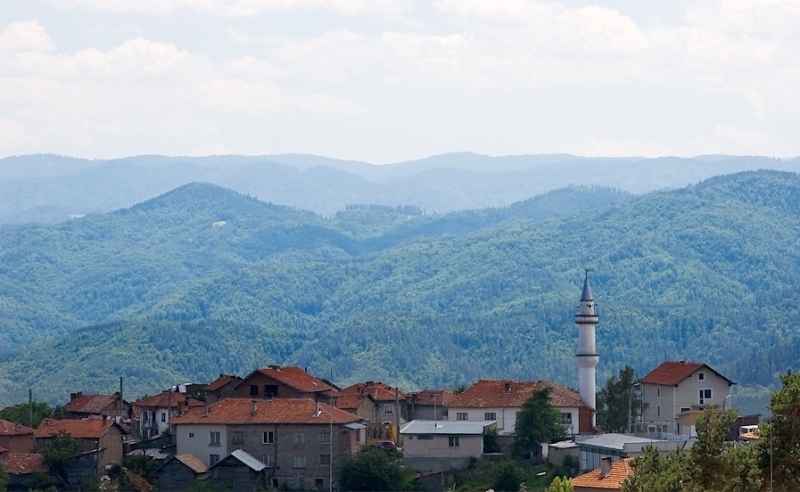 From there you discover another stunning view of the Rhodope and continue to drop 9 km to the village of Mugla. Lunch in the village. Still others 9 km climb to reach the highest peak of the massif of Rhodope. There we have a 6 km route from the top of the mountain ridge. The 10 km descent towards the village of “Shiroka Laka” will be a perfect end of this unforgettable trip because this population has the traditional Bulgarian architecture of wood and stone houses that will take us to the past. 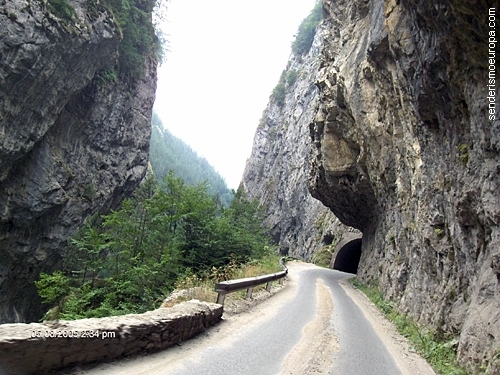 We ride the bikes in the car and return by road to Sofia. Accommodation: Hotel 4**** in the city of Sofia. Day 8: Early transfer to the airport or free time in Sofia, depending on the departure time of flights. Supplement room single use: 145,00 € / person. Note: Possibility to use your own bike, the poise to Bulgaria from Spain would be borne by the customer, but once there, We carry it around in our support vehicle to the starting points of the routes and back to hotel (facturarla approximate cost of the airline Wizzair: 30 € / ride, and with Ryanair: 60 € / ride, see conditions on their websites). If you prefer, there is also the option to rent mountain bikes upon arrival, contact us and we will give daily rental rates. • Reception at Sofia airport on arrival. • Guide service / Spanish-speaking instructor throughout the program. • Transfers as per itinerary in air-conditioned car with driver throughout the program. • fuel costs, parking and tolls. • Accommodation in double room with breakfast and dinner use • Transfer to Sofia airport on departure day. • Administration fees. • Plane tickets. • Footwear and sportswear staff for activities. • Mountain bikes: there can be rented on request or bring their own from Spain • For be optional for each traveler: Tickets to museums, monasteries, iglesias, strengths and services chairlift and gondola. • Optional excursions. • Travel Assistance Insurance, with own toppings for activity, or rescue. Its price is approximately 35,00 € per person, total para 8 days. We recommend that you hire for your safety and peace of mind, if you want we can recommend you the insurance that best suits your program activities. • Tips and personal expenses. • Meals, dinners and drinks of all kinds. Purpose of data processing: Comment management and control of Spam. Rights: You have right of access, rectification, portability, forgetfulness and suppression of your data. What it is the best beach in the Black Sea?, certainly every traveler preferences will determine the answer to this question but for a vast majority of tourists the answer is that the best beach in the Black Sea is to Albena. Now we explain our reasons for extolling the best beach Albena Black Sea. 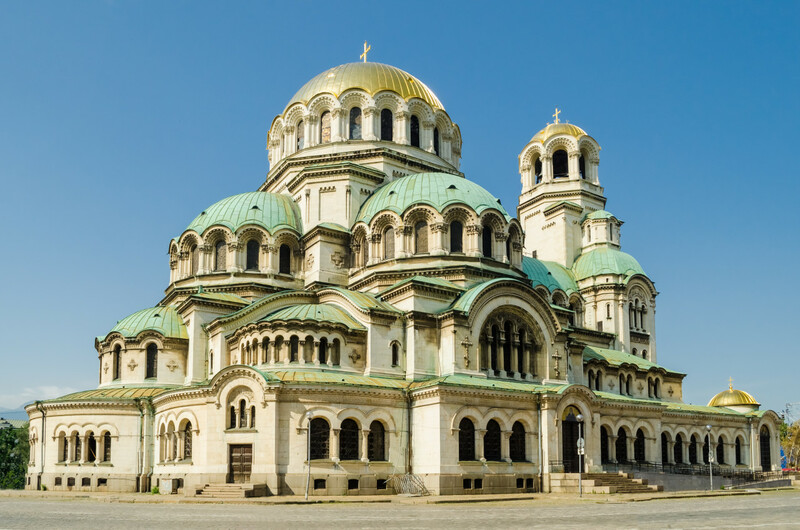 Plovdiv is a city you should not miss if you travel to Bulgaria, but now we will realize and we will advise you what to see in Plovdiv in one day. What makes this a destination worth visiting is the gateway recently built on one of the slopes of the ravine has a length of 780 meters offering stunning views of the ever green and wooded landscape of the canyon because it is suspended 50 meters above the bottom of the ravine through which passes the river Okatse. 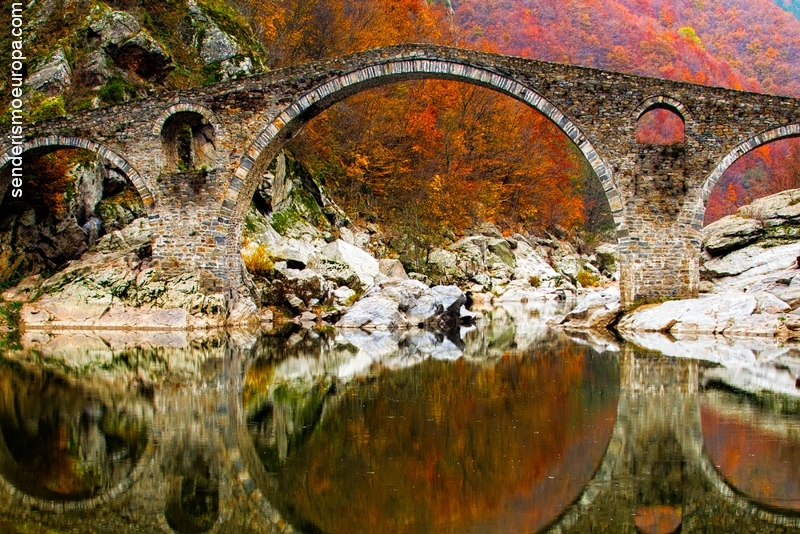 Any traveler in search of new adventures in Georgia find a unique destination for its unspoiled nature, its rich cultural legacy, their traditions, its typical architecture, your kitchen, its wine and the hospitality of its people . Orpheus and Eurícide : Who were? ... According to the myth of Orpheus, this was the best singer, poet and musician of antiquity. 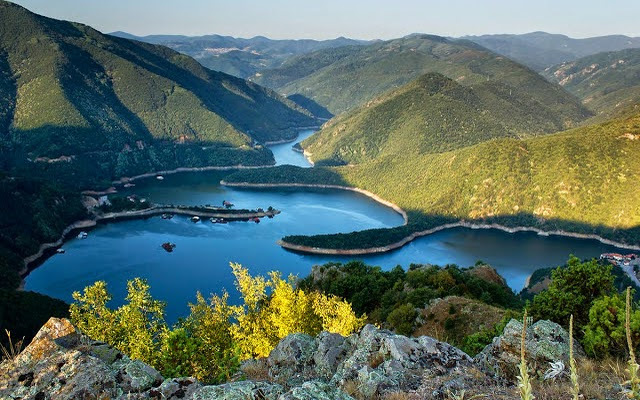 His father was the Thracian god of rivers: Eagro, and ruler of Hemus (central region of the current Bulgaria), and his mother, who was his teacher, It was the muse of epic poetry Calliope. We propose a hiking route through the Caucasus, in the Georgian region of Svaneti, we have called Hiking in Svaneti Mestia-Ushguli or Trekking) because we cross the mountain between these two populations Mestia and Ushguli, the first to 1.500 meters and the last 2.400. Mestia and Ushguli between pass through several intermediate villages in a stunning alpine scenery of mountains and glaciers, and away from the crowded hiking trails in Europe. Varna has a variety of cultural attractions, historical buildings, museums, parks and recreation areas. Among the attractions include the ruins of the Roman baths, these baths were built in the late second century AD and is the fourth largest preserved Roman baths in Europe and the largest in the Balkans. Thracians were a group of tribes that occupied the southeastern part of the Balkan Peninsula, the area currently occupied Bulgaria. Thracian tribes inhabited this part of Eastern Europe from about the year 4.000 a.C.